Professor Gerard Reinmuth presented his Relationality lecture as part of the International Lecture Series at the Danish Royal Academy of Arts. The lecture works through the angst and upheaval in the profession in the wake of the Global Financial Crisis and suggests that a redefinition of the discipline may be necessary. Gerard suggests this redefinition uses as its basis Andrew Benjamin's undertanding of "relationality" where buildings are understood not as the focus of architecture but as an important after effect of the architect's real work - the organisation of relations. 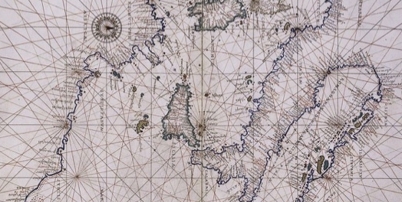 Image of Portolan chart from this site.